Two recent Chetham’s alumni, Alexander Bone and Rory Ingham, have been nominated in the Rising Star category of the 2016 British Jazz Awards. Close friends Alexander (saxophone) and Rory (trombone) both graduated Chetham’s in 2015 before moving on to study Jazz at the Royal Academy of Music, where they are in their second year. They also perform regularly together in Jam Experiment, an award-winning jazz quintet which includes two more Chetham’s alumni – Toby Comeau (piano) and Jonathan Mansfield (percussion). 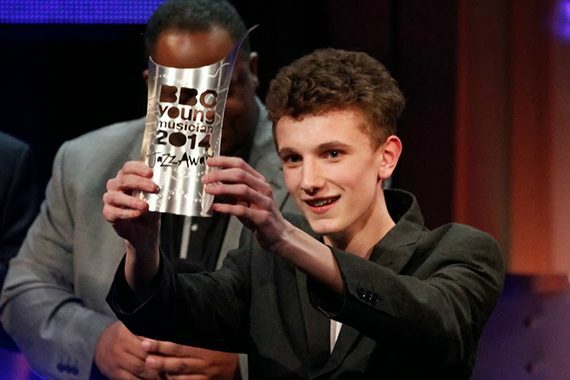 This may not be the first time you have seen Alexander’s name on these pages, as he won the inaugural BBC Young Jazz Musician Award in 2014 whilst studying at Chetham’s. These nominations are further testament to how the Chetham’s Jazz Department has gone from strength to strength in recent years. The department is one of the fastest growing at the School, involving both first study jazz players and others keen to broaden their skills and experience. Jazz studies include improvisation sessions as well as specialist classes in jazz theory, jazz harmony, aural and transcription. If you would like to vote for either nominee, click here. Voting closes on Wednesday 30 November. Good luck from everyone at Chetham’s to both Alexander and Rory!